Shoulder dystocia can be one of the most frightening experiences in the delivery room. This occurs when after the delivery of the head, the front shoulder of the baby cannot pass through, or requires significant manipulation to pass through. Often, the baby is put at great risk of death or significant injury and birth defects because of complications with the umbilical cord in the birth canal. A baby may also develop brain damage or cerebral palsy. The doctor, hospital and nursing staff must be trained properly in an effort to see the warning signs and manage the dystocia. Failure to do so can be devastating. Most babies will fully recover but for those who do not, their outlook is poor. In these cases there may be a separation of the nerve root from the spinal cord (avulsion). It is not clear whether surgery to repair the nerves or fix the nerve problem can help. Nerve grafts and nerve transfers are sometimes tried. Sometimes, doctors have to use assistive devices to aid in vaginal delivery. A vacuum extractor is a common device. A doctor must be highly skilled in using assistive tools and must make the right decision to ensure safer alternatives were not available. The reason is that delivery by vacuum extraction can cause a fracture to the baby’s skull. It also can put at risk the baby for neurological defects and cosmetic defects. A Caesarean, or “c-section,” has become a common surgical procedure used for the delivery of a baby instead of natural or vaginal delivery. The Centers for Disease Control and Prevention (CDC) reports that the national cesarean birth rate equates to over a quarter of all deliveries. This means that more than 1 in 4 women are likely to experience a cesarean delivery. C-sections, like any other major surgery, are risky. Hemorrhage or increased blood loss: There is more blood loss in a cesarean delivery than with a vaginal delivery. This can lead to anemia or a blood transfusion. Injury to organs: Possible injury to organs such as the bowel or bladder. Adhesions: Scar tissue may form inside the pelvic region causing blockage and pain. Adhesions can also lead to future pregnancy complications such as placenta previa or placental abruption. Extended recovery time: The amount of time needed for recovery after a cesarean can range from weeks to months. Extended recovery can have an impact on bonding time with your baby. Emotional reactions: Some women who have had a cesarean report feeling negatively about their birth experience and may have trouble with initial bonding with their baby. Premature birth: If gestational age was not calculated correctly, a baby delivered by cesarean could be delivered too early and have low birth weight. Breathing problems: When delivered by cesarean, a baby is more likely to have breathing and respiratory problems. Some studies show the existence of greater need for assistance with breathing and immediate care after a cesarean than with a vaginal delivery. Low APGAR scores: Low APGAR scores can be the result of anesthesia, fetal distress before the delivery or lack of stimulation during delivery (Vaginal birth provides natural stimulation to the baby while in the birth canal). Babies born by cesarean are 50% more likely to have lower APGAR scores than those born vaginally. Fetal injury: Very rarely, the baby may be nicked or cut during the incision. When complications are detected during birth, whether it be for the mother or her baby, doctors and nurses must take quick action to perform C-sections in a timely and safe manner. Failure to do so may result in serious birth injury to the child, including brain damage and cerebral palsy due to oxygen deprivation. 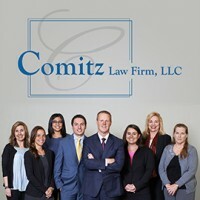 If you experienced complications from an emergency C-section or other delivery procedure and your child suffered a birth injury, contact the medical malpractice attorneys at Comitz Law Firm by calling (570) 829-1111 and make an appointment to speak with Attorney Comitz, who will personally review and handle your case.